"GoldenEye" is a single from the soundtrack album 007 GoldenEye. 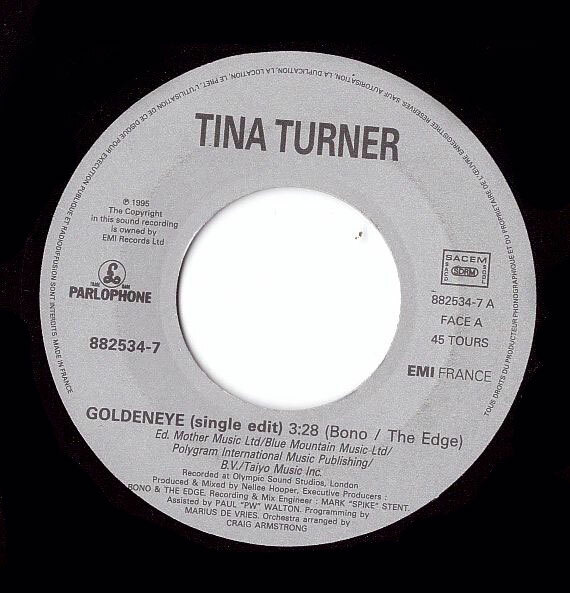 "GoldenEye" was specially written for Tina by Bono and The Edge of U2. Tina was asked to sing the title song for the new James Bond movie "GoldenEye". Tina got really excited and accepted the offer. When Tina got involved there were many songwriters who came up with all different kinds of songs and the producer and Tina went through them all. Tina wanted to sing a good and as close coming song to the movie, or she would leave. When they heard the demo from Bono & The Edge they all were very excited. Tina just said "This is magic!’’ They all decided to select this title song for the movie. Tina and Bono were neighbours in the South of France and she always has been a fan of U2. The demo that Tina got was a rough demo. She didn't know how to deliver the song. Tina’s manager wanted a better demo, but Tina insisted to go on with it and simply said "We will meet them in the studio". Tina confessed it was a though song to sing, but she was able to do every twist and turn they wanted her to do and the result was brilliant. 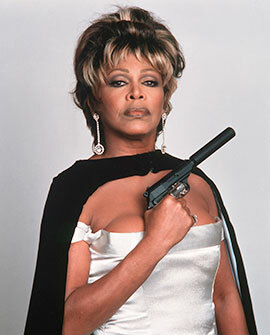 It came very close to Shirley Bassey’s Bond song. Tina recalls this experience as one of the best in her life. "GoldenEye" is about a woman who shed many tears for a man. But now the time has come that she can get her revenge. Although Tina didn’t want to go out to tour again, Roger and Tina knew that when they would record this song that there would be a next step. After the release of "GoldenEye" in 1995, it became a hit in Europe, but the song didn’t chart in the US. 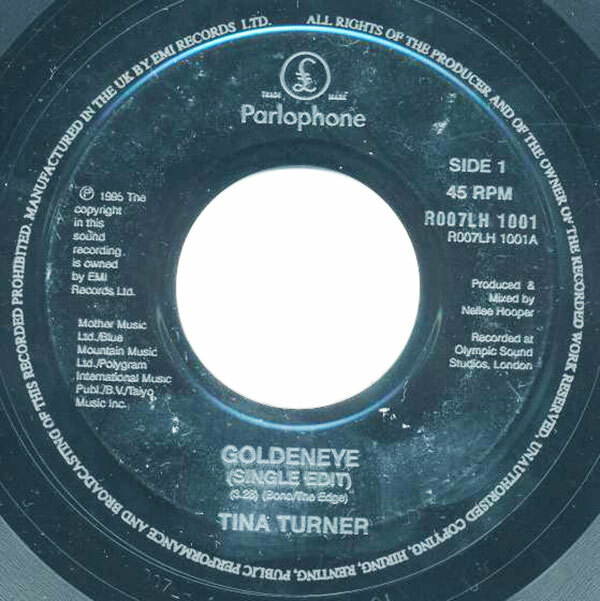 Tina and Roger went back to the studio and recorded the upcoming album "Wildest Dreams", and "GoldenEye" was included on this album. 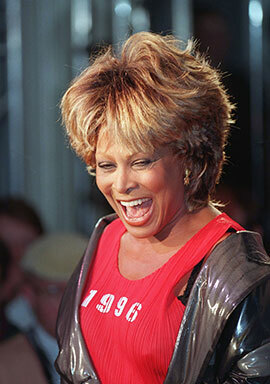 Tina started her Wildest Dreams World Tour in 1996 and it ended in 1997. 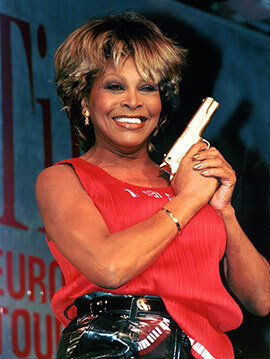 Tina performed "GoldenEye" many times at TV and Award shows in 1995/1996 and 1997, like the Billboard Awards and the Fashion Awards and Hey Hey It’s Saturday. She also shot a videoclip for the song, with Tina in the lead as a bad but classy bondgirl. She performed the song live during her 1996/1997 Wildest Dreams Tour and her 2008/2009 Tina! The 50th Anniversary Tour. In both tours she did build an act around the song which pays big tribute to the movie. "GoldenEye" was released in multiple formats. Cd single, cd maxi single, cassette single, 7" single and 12" single. They’ve used two record labels. For Europe the label Parlophone and for the US the label Virgin. There are also many remixes of this song. Mostly produced by David Moralis and Dave Hall. Here’s a recap of these mixes. 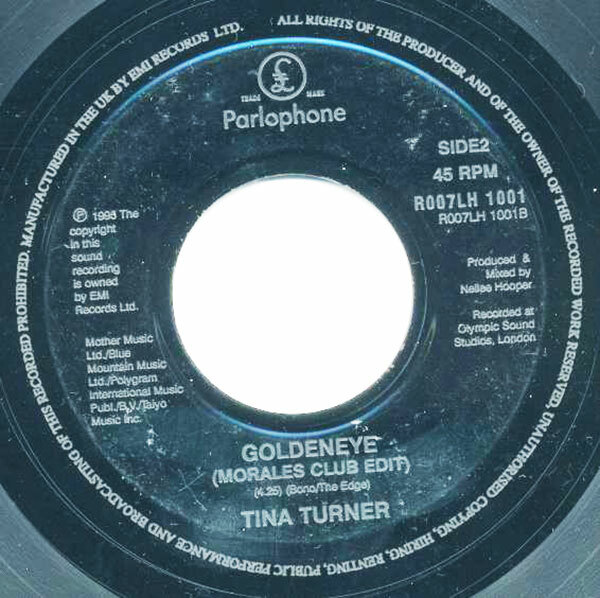 "Goldeneye" (Morales Club Edit) - 4.25 min.